THIS POST MAY CONTAIN COMPENSATED LINKS. Please see our DISCLAIMER FOR MORE. 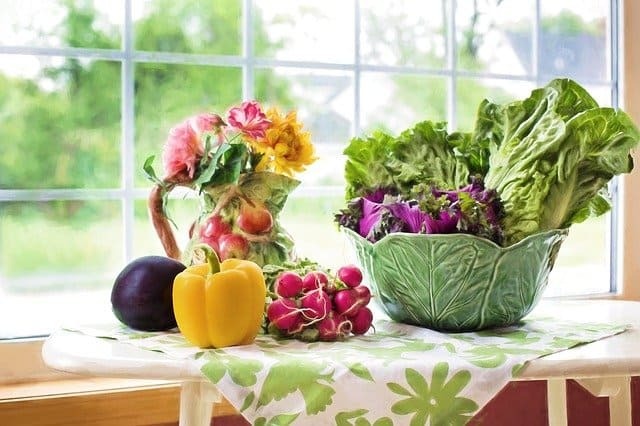 How to make your kitchen eco-friendly? It’s the heart of your home where friends and family congregate. But, it’s also where your energy consumption can be highest. To make your kitchen a whole lot greener, try these 18 hacks to save water and energy and reduce toxins in the environment. 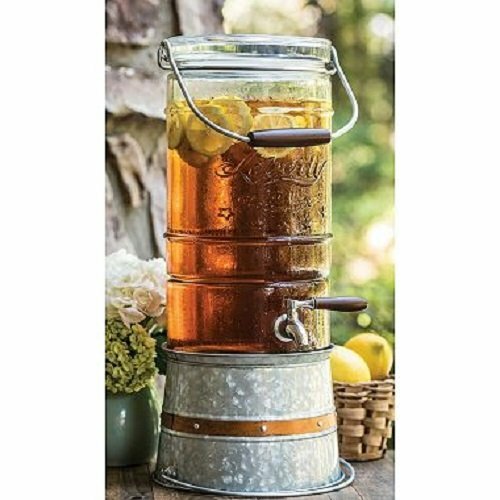 This will lock in flavor and goodness, conserve precious water and energy costs. Tip: Cool any excess water after cooking the vegetables and keep for use as stock or to water your plants as it holds plenty of nutrients. When replacing or buying new cookware or kitchenware think of the possible production, use, or discard costs to the environment, e.g., in water or energy consumption or toxins released. Is the product versatile? 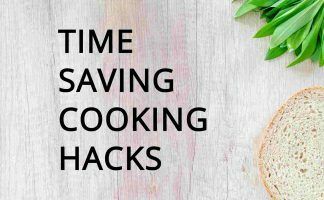 Being able to be taken from stovetop to oven, to the table for serving, and to the refrigerator for storage in the same pot for tomorrow’s reheating will save extra outlay. Is it recyclable? What about the manufacturing process? Some brands, such as Xtrema, recycle the water used during manufacture. Are there toxins potentially emitted from the product when heated or in production? Consider 100% ceramic cookware, which is pure (no toxins), versatile, and should last you a lifetime with care. Cast iron pans and stainless steel cookware are other options without the toxins, PFTE and PFOA. 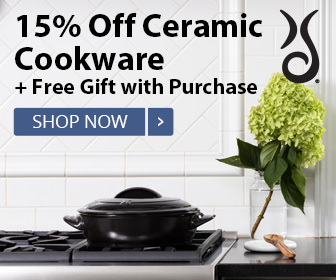 If you prefer nonstick cookware, consider the ceramic coated type, which is PFTE and PFOA free. Using lids on saucepans will prevent heat loss and save you energy costs. Once the liquid in the pan starts boiling turn the heat down to low. With the lid on it will simmer away nicely. Having pots and pans cover the cooking element maximizes energy efficiency. Keep cooktops in good working order to maximize energy efficiency. Stews or pot roasts require only one cooking element. Also, using a steamer that stacks on top of another pot will reduce the use of cooking elements. Tip: Crock pots are ideal. 100% ceramic pots on the stovetop are also ideal. The fewer pots and pans also mean less cleaning up!! This will reduce the energy requirements of the freezer. When heating water, fill the container only to the level that equals the amount of water you need. This is smarter because it conserves energy usage in heating water you are not going to use. In countries with higher voltage, e.g. 230 v or above, such as in the UK, most of Europe, and Australia (compared to 120v in the US), it is wiser to boil water in an electric jug appliance. Because of the higher voltage, this is more efficient than using the stovetop. When baking or roasting set a timer and avoid opening oven door as much as possible to prevent heat and energy loss. Ovens with clear view doors and internal lights help with this. This allows cold air to escape and results in extra energy being used to re-establish the temperature setting. Here’s the deal…Defrost regularly. Although, modern models are usually self-defrosting and you may not have this issue. Nonetheless, frost should not be more than 6 mm deep. Another smart move is to repair broken seals to reduce energy leakage. Extra Tip: If a piece of paper placed between the door and the seal moves in and out easily, the seal isn’t working. Check whether the door might need adjusting or if not, replace seals. Fill it with iced water in summer. Add slices of lemon for refreshment. A large container of cool water saves on energy loss with repeated refrigerator opening. Everyone loves the easy access to refreshments during hot weather. Great with visitors or children. Just the thing for entertaining. Drink dispensers with a spigot for easy access are ideal, like this one. In countries where voltage is high enough, use toasters instead of the stovetop or grill to toast bread and buns. In slicing foods, use manual knives that are sharp and suited to the job, rather than an electric knife. Make turning off lights when not in use a habit. It is more water efficient to run a full load than a number of smaller ones. Keep your dishwasher in good working order to save having to redo the load and also to conserve energy usage. Clean the filter of the dishwasher regularly, is another tip. You will avoid overcooking and save on energy use. Use timers to save burning your stuff and having to do it again! darn. 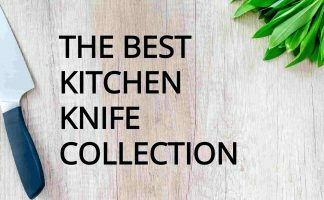 Use manual knives that stay sharp for longer rather than electric knives where suited. Have a compost for your kitchen scraps (fruit and vegetable scraps only). 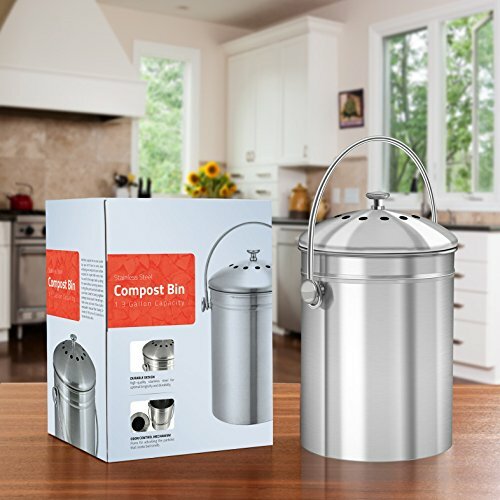 A small stainless steel compost bin to collect scraps is perfect for the kitchen bench. A top indoor compost bin includes a charcoal filter to reduce odors, like this one. For some reason or other, our kitchens become a place of sharing wisdom and stories – sometimes over a cuppa or a glass of wine. Taking steps to reduce consumption, even small ones, and making them everyday habits can contribute overall to not only your budget but the wellbeing of the planet for tomorrow. If you are wanting to know more, you can measure the impact of our energy use on the environment here. There is also a section on reducing your impact. Hi, This is Crystal Hodge, a believer in healthy eating starting with the cooking. 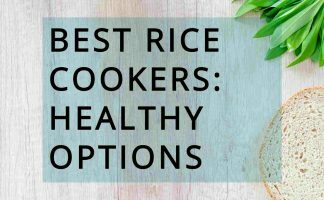 I'm a seaside-loving mom from the east coast and I love helping people make informed choices about healthy cookware. I'm a wholesome living wannabe. All I wanna do is: Live. Love. Cook. Healthily! What are the Ceramic Cookware Pros and Cons?